This tutorial is for Ubuntu 11.10, however, it should be the same for other versions of Ubuntu (and derivatives, like edubuntu, kubuntu, lubuntu, and xubuntu) and other Linux distributions based on Debian. However, no guarantee is made. What makes Ubuntu very easy to use is the Ubuntu Software Center which allows users an easy way to select and install or remove packages (usually programs). While this is clear for those who know what it means, I believe the majority of Ubuntu users are those who want a simple to install and use Linux OS – they are not interested in lower level details of managing their system. In most cases, you can enter the package name into the Ubuntu Software Center and install it that way. For example, if you found the instructions: sudo apt-get install lubuntu-core and didn’t want to use apt-get you could enter lubuntu-core into the search field of Ubuntu Software Center and select the appropriate package from there. 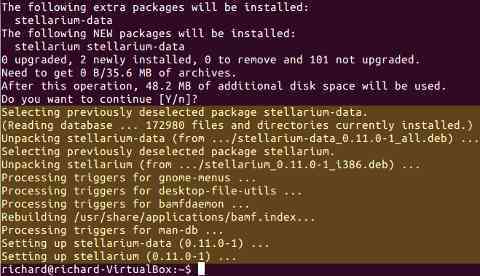 When you use the Ubuntu Software Manager, all the details of the installation are hidden from you – you don’t know if you are installing just one package or twelve. Using apt-get, you can see which packages are going to be installed. This also makes it easier to know which packages to uninstall if you uninstall later. A common complaint about Microsoft Windows is that applications often install a lot of junk that is not removed when the application is uninstalled. Ubuntu isn’t any better in this regard. This is because installers and uninstallers are hard to write – when you uninstall you don’t want to accidentally remove packages or files that some other application is using, so uninstallers tend to be conservative and leave stuff behind. Another advantage of using apt-get instead of the Ubuntu Software Center is that apt-get allows you to install multiple packages with a single command. With the Ubuntu Software Center you need to install each package separately. sudo – a command to grant super user access to the system. Ubuntu is configured to prevent administrative (or system level) changes to the operating system. This is a security measure. sudo allows a user to temporarily override this behaviour. apt-get – the Advanced Packaging Tool which allows users to install, remove, and update packages on their system. Instructions on how to open a terminal can be found here. 2) Type your password and press Enter. Note: as a security measure, your keystrokes are not echoed back to you. You will be typing, but see no feedback on the screen. While weird, this is normal. apt-get may display additional information, but, for this tutorial, it is not relevant. My first tentative step in using the terminal – and it’s a success! Thank you so much. It’s not really that difficult, but … if you don’t know it, then you don’t know it. You might also consider using man pages to get more information. A man page is Unix’s / Linux’s equivalent of a help file. Often times, the help can be a little obscure, but it is better than nothing, sometimes it is very good. to get the documentation on the command apt-get. You can then try out man sudo to get more info on the sudo command. Finally, if you are not interested in all the documentation, you can often follow the command with --help to get a brief synopsis of the command and options. to get some help on the command apt-get. More commands support -h, which gives a much terser help summary than --help. Hi, thank you so much for giving this detailed and easy description about the command ‘sudo apt-get’ here.